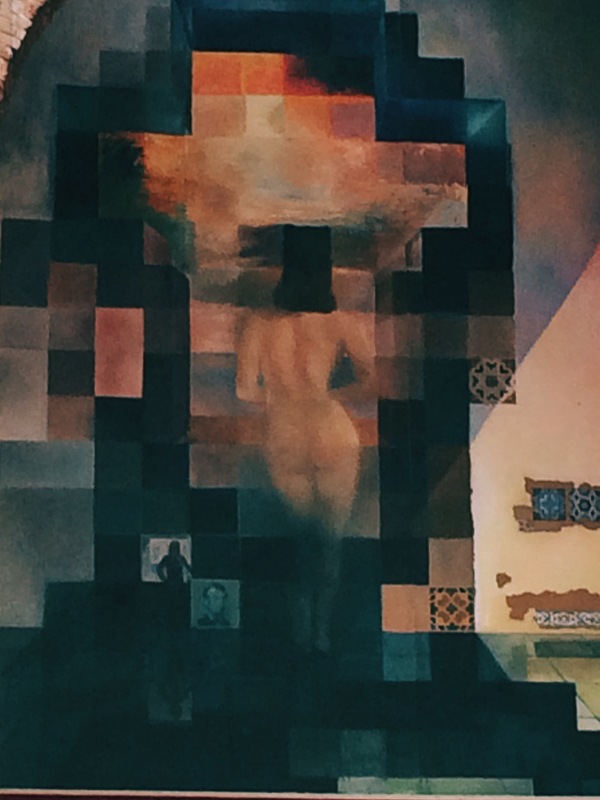 Day 11 -Dali or bust! 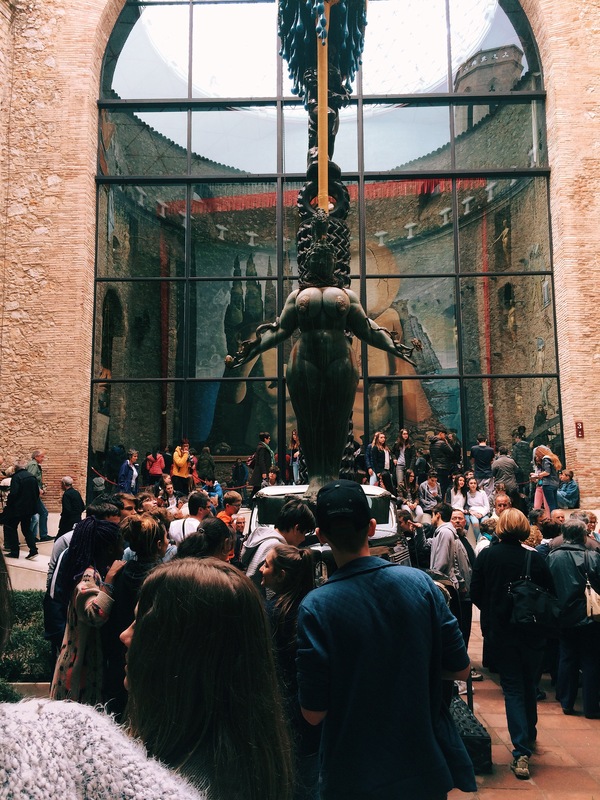 Today our plan was to visit the Dali museum in Figueres, a town about 2 hours away from Barcelona by train. However, Raf came down with a fever yesterday evening and was quite sick with some kind of stomach bug. He rested in the morning and I was pretty set on not going but he was determined so we set off, very slowly. The train ride was actually really relaxing and gave him a chance to rest, so that’s good. 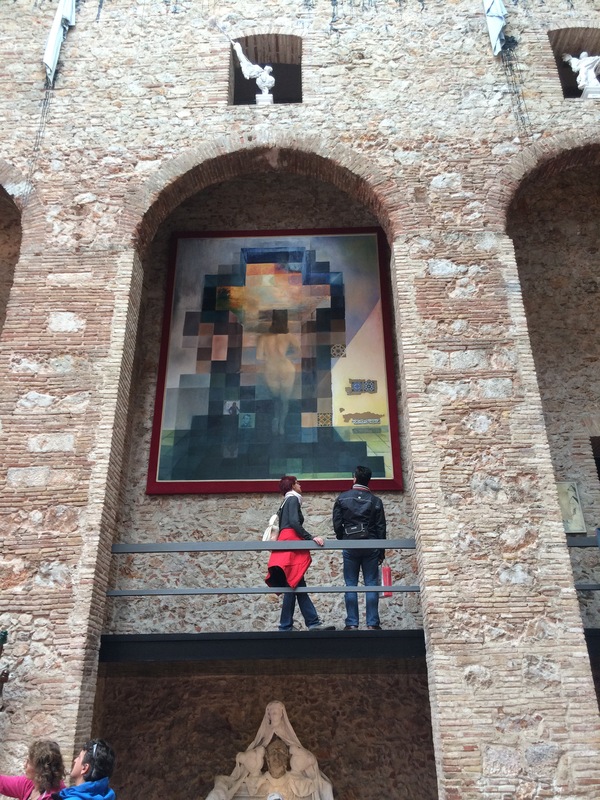 Once we got to Figueres and the museum it was kind of chaotic. We had to wait in line for about 45 minutes and once inside it was a mob scene. The museum is actually Dali’s home and, frankly, it’s not conducive to large crowds. It was cramped and we felt like we constantly needed to be moving, so we didn’t get a chance to ponder the art (which is something I love to do). Add to that the fact that Raf was sick. We didn’t really stay long. Last night we saw a fantastic exhibit at the Museum of Contemporary Art in Barcelona by Andrea Fraser. She is an American artist (from Billings Montana!) who focuses on the question, “what do we want from art?” I thought her work, and the question she asks, brilliant. And I especially feel that way today, having witnessed the mob at the Dali museum. What is the point of that kind of chaos? 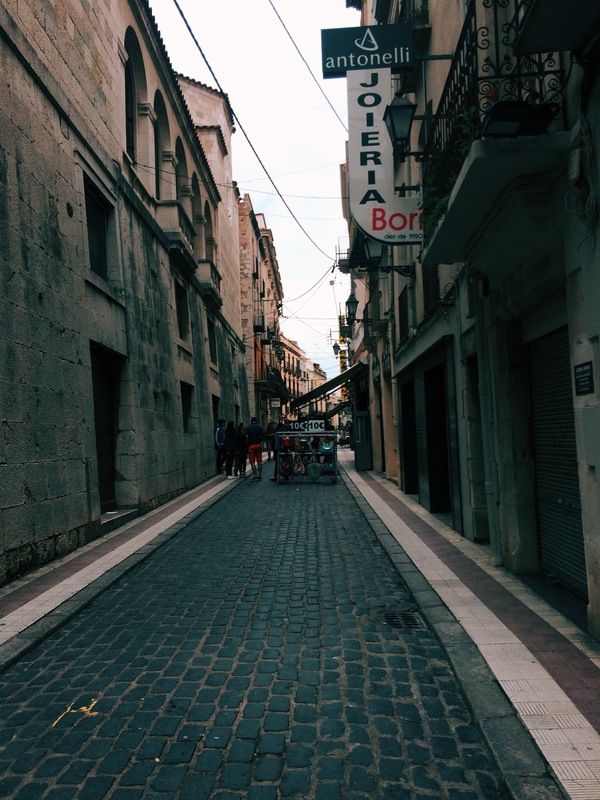 Figueres was nice though! I enjoyed walking around there. Tomorrow we are off on the 2nd leg of our journey: Dublin, Ireland. Our time in Barcelona has come to an end. I had such an amazing time and I’m sad to be leaving this fantastic city. I hope I can come back someday! Especially looking forward to your reports from Dublin. I’m headed to Ireland in Sept. with the woman I’m marrying this summer, to tour the country for two weeks on our honeymoon! Oh nice! That will be fun!